CFN Fuel Cards are accepted at over 2,500 traditional cardlock sites nationwide. Cardlock sites offer wholesale/cost plus pricing. 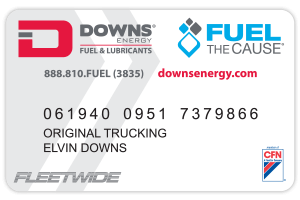 The CFN FleetWide card is an extended network card that is accepted at over 57,000 retail stations and truck stops nationwide.